Traditionally Hawaiians use Alaea salt in ceremonies to cleanse, purify and bless tools and canoes, as well, in healing rituals for medicinal purposes. Alaea is the traditional Hawaiian table salt used to season and preserve. 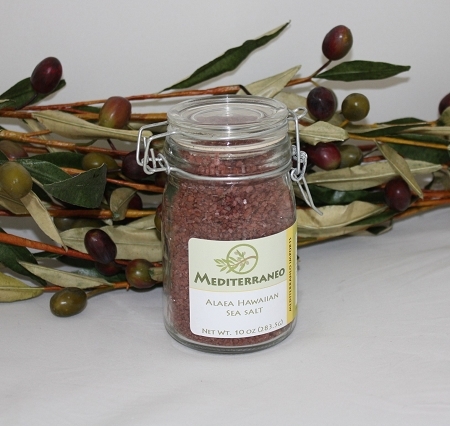 Alaea Hawaiian Sea Salt is non-processed and rich in trace minerals, all of which are found in sea water. A small amount of harvested reddish Hawaiian clay (Alaea) enriches the salt with Iron-Oxide. Savor a unique and pleasant flavor while roasting or grilling meats. It is the traditional and authentic seasoning for native Hawaiian dishes such as Kalua Pig, Hawaiian Jerky and Poke. Packed in a convenient, refillable grinder.